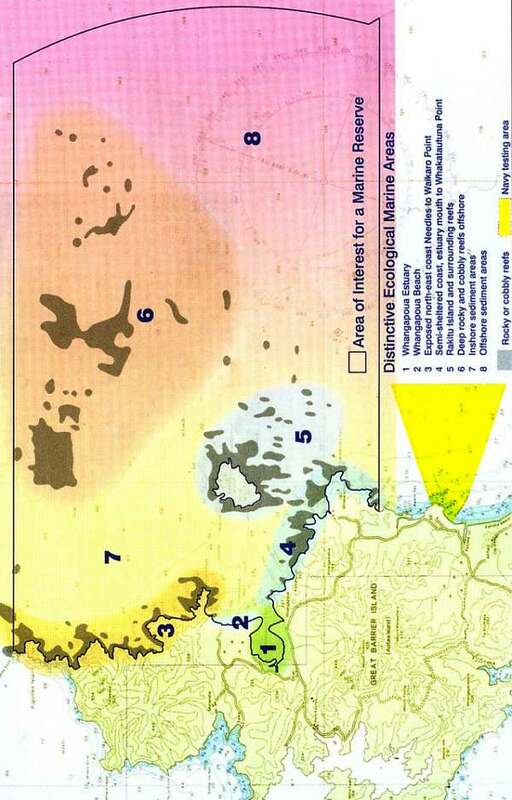 A Marine Reserve for Great Barrier island? What is your involvement with Great Barrier Island? How often do you visit the north-east coat of Great Barrier (area shown on map)? How do you use the area, and which parts of it? (Please give details of use and location - you can mark areas on the map. Do you support the principle of a marine reserve somewhere on the north-east coast of Great Barrier Island? If you think any part of the Whangapoua Estuary should be excluded from the marine reserve proposal, please mark it on the map and tell us your reasons. Are there any particular areas on the north-east coast and offshore waters that you think should not be protected as a marine reserve? If there are, please mark them on the map and tell us your reasons. Please return this questionnaire by 31 July 2003.